For property managers looking to retain renters or entice new renters to fill existing vacancies, summer time can mean intense pressure to perform. After all, summer moving season is both their best opportunity to fill vacancies and their highest risk for losing renters. To help attract new renters (and keep existing renters) during the high risk, high reward summer season property managers need every competitive advantage they can get. One way to prepare for summer is to carry out some home improvement projects. 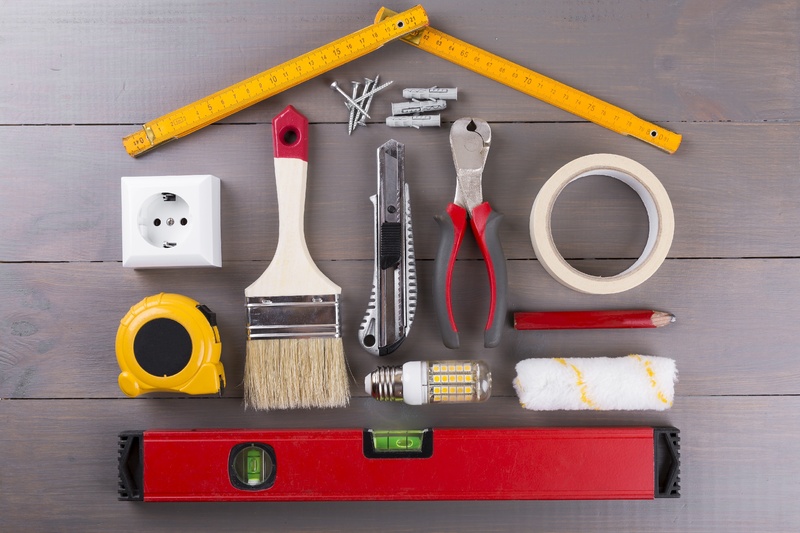 What are some common home improvements that property managers can leverage in summer? More importantly, how can summer house projects help property managers be more competitive so they gain more renters and lose fewer existing renters? According to data from energy.gov, “as much as one third of the average home's heat loss occurs through windows and doors.” In the winter, this heat loss means more money spent on heating the home—in summer, cold air may escape, meaning more money spent on air conditioning (plus more wear and tear on the A/C unit itself). Cracks in a door or window frame are bound to occur over time as they are exposed to daily wear and tear. So, it can help to repair these frames by replacing the caulking and checking the seal of the window or door to verify that it is as tight as possible. If there are noticeable gaps between the window/door and the frame, it may need major repairs or replacement. It can also help to check if the window or door itself has insulating properties. For example, is the window made of single-paned glass or double-paned glass? A window with double-paned glass has better insulating properties because it prevents the transfer of thermal energy. Replacing windows or doors that have poor insulating properties with ones designed to improve energy efficiency can help reduce air conditioning costs in the summer (and heating costs in the winter). One of the biggest concerns that renters have in the summer is being able to maintain comfortable temperatures in their homes. The heating, ventilation, and air conditioning (HVAC) system plays an integral role in keeping renters cool in summer. Sudden HVAC system failures are a major concern because of how quickly renters will lose their cool—both literally and figuratively. So, one of the most important summer house projects to carry out for a residential rental property is to have the HVAC system thoroughly inspected and, if necessary, upgraded. It can be a bit tricky to find the right HVAC system repair specialist, since some air conditioning manufacturers require service technicians to have a special certification to perform repairs without voiding the system’s warranty. Here, having a property maintenance solution that has an extensive network of licensed HVAC specialists can help. Aside from checking the main fan and air handling unit, it’s important to check the condition of the vents in the rental property for holes, blockages, and other issues that may reduce the system’s efficiency. This is especially important for vacant rental properties that you want to fill. For many potential tenants who are interested in a property, but haven’t committed to signing the lease, the exterior of a home can make a powerful first impression. Homes with faded or chipped paint, unkempt lawns, and roof damage will quickly put a renter off before they even set foot on the property. Conducting Bi-Weekly Landscaping. In the spring and summer, lawns tend to grow quickly. Warm temperatures and plentiful rainfall can cause grass to grow several inches a week, which can get out of hand quickly if not properly trimmed. Cleaning/Repairing Gutters. Gutters are an easily-overlooked summer home maintenance task. However, dirty, clogged gutters are often quickly noticed, and may lead to the renter questioning what other pieces of basic maintenance may have been missed. Inspecting the Roof. Damage to the roof can be a major issue, as it may allow water to leak inside (as well as pests). Inspecting the roof for loose, damaged, or missing tiles can be important for avoiding potential issues. Washing and Painting the Exterior. Cleaning the sides of the house can help make it more attractive to potential renters. Driveways and sidewalks may need to be cleaned with a power washer to restore their like-new appearance. If the paint on the house is faded, it may need to be repainted after the initial washing is complete. Taking the time and effort to perform some exterior summer home maintenance can make a residential property more attractive to potential renters. These are just a few of the home improvement projects that property managers can carry out to make their rental properties more attractive. There are many more improvements, renovations, and upgrades that you could make to increase the attractiveness of your residential properties. If you need help finding property maintenance pros to carry out these home improvement projects, try Homee On Demand. This property maintenance solution gives you instant access to thousands of qualified plumbing, electrical, HVAC, and general contracting service providers.